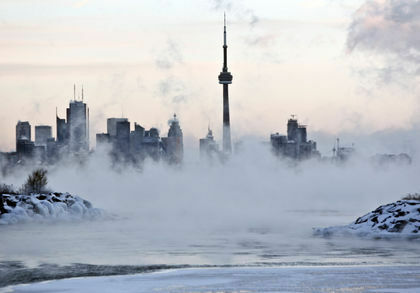 Toronto's medical officer of health has issued an extreme cold weather alert for tonight. The temperature is expected to drop to -16°C overnight. The Medical Officer of Health will issue an Extreme Cold Weather Alert when Environment Canada forecasts a temperature of -15°C or colder, or a wind chill of -20°C or colder, for the City of Toronto. Extreme Cold Weather Alerts may also be issued when the forecast includes factors that increase the impact of cold weather on health. These include precipitation, low daytime temperatures, or several days and nights of cold weather in a row. The City suggests checking on family, friends, and neighbours. During extreme cold weather conditions, please call or visit vulnerable family, friends, and neighbours, especially isolated seniors. Other groups at risk include people with pre-existing heart conditions or chronic respiratory illness, infants and young children, people on certain medications, those who work or do physical activities outside for extended periods, and people who are marginally housed or homeless.